Your letter came this morning. It was a pleasant surprise. Am glad you got home alright Sabbath Eve, Yes, I attended Services Sabbath night. I thought you might be there and I’d loose an opportunity of seeing you if I should stay away. I see you so seldom, you see, I can’t afford to let an opportunity pass. You talk about being lonely yesterday. I was lonely for truth. Yesterday was a holiday. Our university celebrated its 91st birthday. So all day long I just sat around and enjoyed in day dreams. In the afternoon conditions became so intolerable that I visited my sister in Norwood. Wish I could have been with you. You can censure me unjustly about that book preposition. It would have been a pleasure for me to have served you in that little way. I only wanted you to suggest something, however and had decided to get the “Clansman” by Thomas Dixon Jr. and have it for you Sabbath. You remember I tried to tell you about it. Ah, so here we have the title of a book that they read. 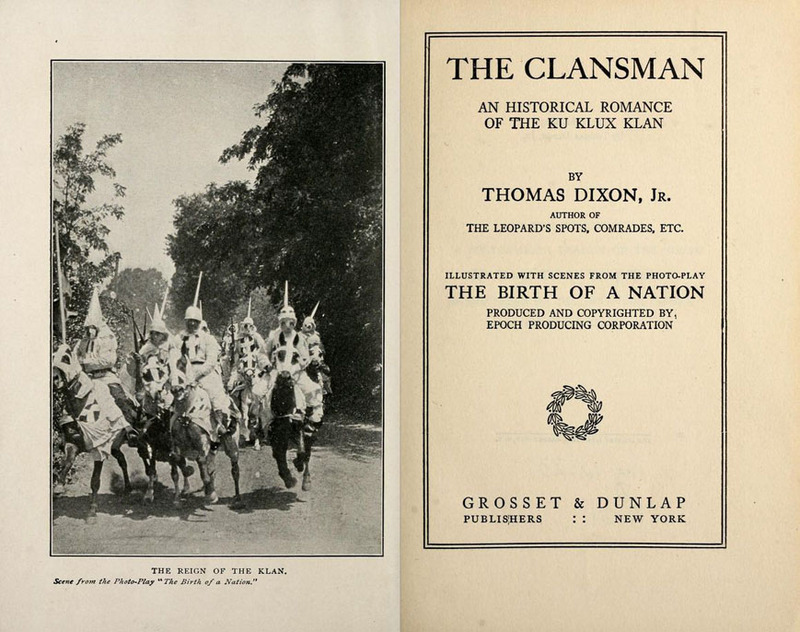 The racist movie, “Birth of a Nation” about the rise of the Ku Klux Klan during Reconstruction, was based on Dixon’s racist book “The Clansman”. I wonder what they said about it. Being the children of people who had been slaves, the first generation born after slavery, and who fought for their rights through the years, I can imagine it wasn’t complementary. 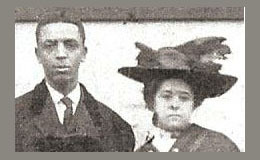 The book was published in 1904. It’s available free online here The Clansman – Project Gotenberg ebook. Sometimes I look at my old letters and wonder the same thing. What a lovely theme! I’m going to bookmark your blog and come back to it after the April craziness is over. Love their expressions and sentiments. Time of the day…..Wonderful. I wish I could touch these letters. I don’t have the actual letters. My cousin has them, but the scans are so good, it “feels” like the actual letter. Lovely letters. 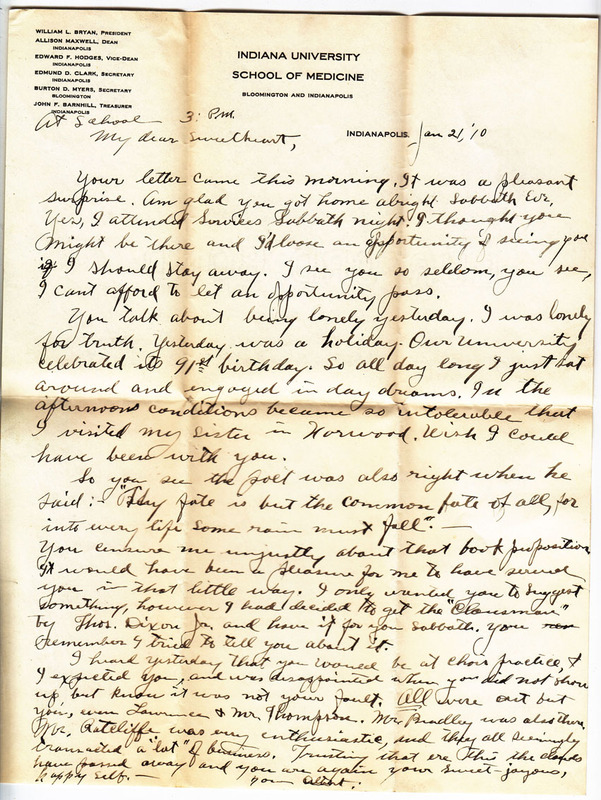 It must be wonderful to have letters from way back.. to gain an understanding of your family’s past. It is. I saw my grandparents in a whole different light after reading these letters.